Actor Bruce Campbell will lend his voice to the character. 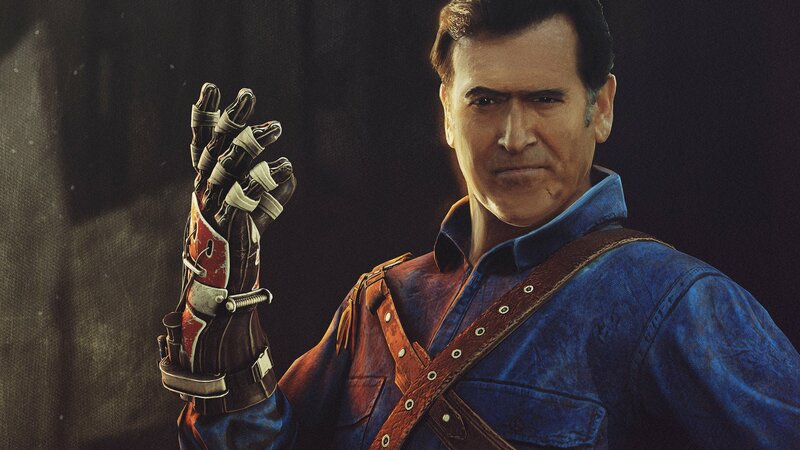 Ash Williams, the iconic Deadite killer and king of men, will be joining Dead by Daylight. As part of special Ash vs. Evil Dead DLC, Williams will be playable on April 2nd. He’s even voiced by legendary actor Bruce Campbell and comes with his own set of skills. While pricing for the DLC is unknown, Ash will be joining as a survivor. That means you have to cooperate with other players to outwit the killer and effectively escape. And since Dead by Daylight features such famous killers as Michael Myers, Freddy Kreuger, and Leatherface along with its own original creations, this is a crossover unlike any other. Behaviour Digital Inc has been pretty consistent with updates for the asymmetrical multiplayer title. It released Demise of the Faithful on March 20th, which added a new killer, a new survivor, and a new map for players to avoid dying on. Stay tuned for more information on when the Ash vs. Evil Dead DLC goes live.